Our focus this year is permission & consent! Look for our Safer Internet Day work on our class pages soon! Teach Internet Safety at Home! 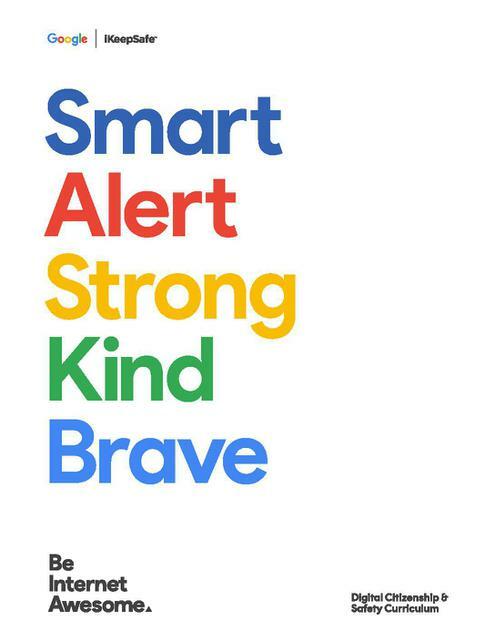 Google Internet Safety - Be Internet Awesome! Visit google's brilliant new internet safety website for games, lessons, resources and advice about how to stay safe online - regardless of your age! The internet is a wonderful, yet quick moving place. If you would like to learn more about E-Safety, social media, or how you can help your child improve their E-Safety skills then take a look at our 'Ellison Boulters E-Safety Essentials' leaflet below! The internet is always changing, and being able to keep up to date with your children's use of technology can be a challenge, especially if you feel that your children may have better technical skills than you do. 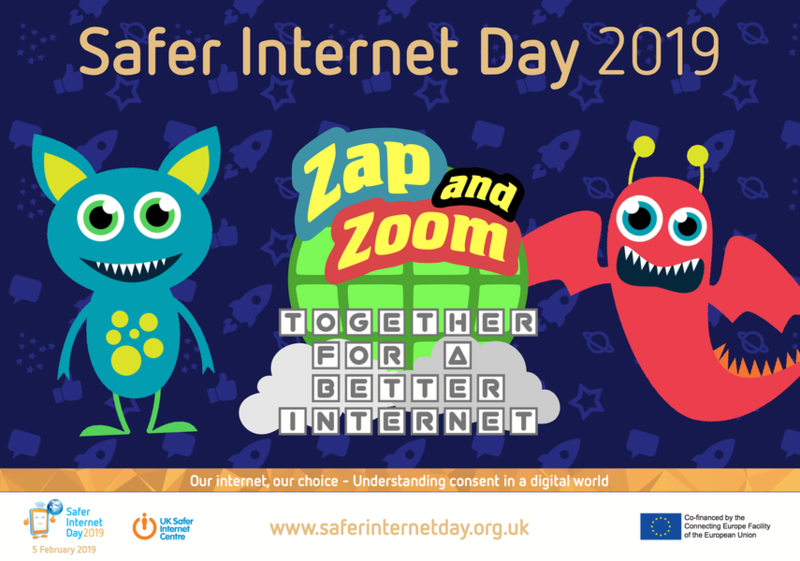 However, children and young people still need support and guidance when it comes to managing their lives online and using the internet positively and safely. On this page you will find a range of useful documents to help you work with your child to develop your's, and their, ability to stay safe on-line. A simple and effective way to get involved with your children and their lives on-line is through discussion. To get the ball rolling, why not use these conversation starters for parents and carers? Learn how to untangle the web through the NSPCC's Icebreaker email series. In just six weeks you'll be an expert in a child's online world and how to spot potential risks. There are endless apps and websites that children of all age have easy access to, within seconds they can be communicating with strangers on the other side of the world with little awareness of how or what dangers exist. The documents below outline some of the hot favourites and how they work/how they can work safely for your child. NSPCC Net Aware Learn more about the most popular apps used by children and young people. Includes reviews from children and parents, as well as guidance on what is the right age for children to use them.